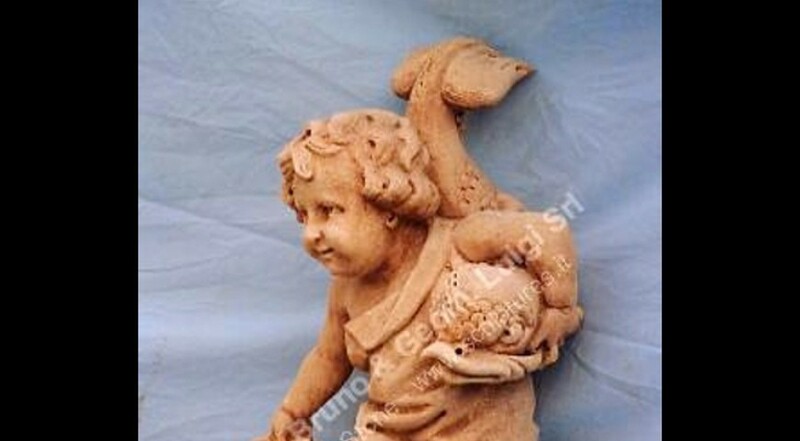 A Putto sculpture with dolphin drilled for water and little shell. Carved in Vicenza as antique technique, from the block to the finish as all our hand carved stone sculptures. It's nice as top finial for a Fountain, or near a water area. Italian style, antique our original design.